Sheila Bapat is an attorney and writer covering economic and gender justice. Her work has appeared in Jacobin, Salon, Reuters, Slate, Alternet, Truthout, the University of Pennsylvania Journal of Labor and Employment Law, PolicyMatters, and the Center for Women Policy Studies’ series, “Reproductive Laws for the 21st Century.” Sheila holds a JD from the University of Pennsylvania School of Law. Mother's Day gifts from a child or spouse are sweet, but on a broader level, a genuine celebration of mom’s labor would be if our society ensured her economic security. Cecily McMillan is now on trial for defending herself at an Occupy Wall Street protest after she felt someone grab her breast. McMillan's decision to fight back—both immediately after she was groped and now, in court—is brave, and sends a powerful message that women should not be blamed for defending themselves. Increasing support for family policy among lawmakers is encouraging—but what about the commitment of the private sector? The Congressional Budget Office's new report found the Affordable Care Act could result in a reduction in workforce participation by approximately two million full-time workers in 2017. Conservative columnists are freaking out, but, even if the right is right, that may not be a bad thing at all. The federal poverty guidelines, which dictate eligibility of most public benefits, including food stamps, is flawed in that it does not account for variances in cost of living. Did an Indian Diplomat in the United States Mistreat Her Domestic Worker? At issue is a divide between the nations about how domestic workers ought to be treated. Despite a tough year for U.S. women's overall economic status, we have good reason to feel optimistic that the tide may turn in 2014. Slowly, real efforts to transform the false work-family dichotomy are emerging, both through legislation as well as through employer initiatives. Programs like paid family leave and on-site child care can help working families over the long haul—yet it is rare to find either offered to low-wage workers in this country. If Congress is unable to meet its December 13 deadline to address the sequester, the struggle for low-income domestic violence survivors to access safe housing will intensify. Even as a string of recent studies reveal the damaging effect of poverty on children, both Democrats and Republicans seek to cut food stamps, which have been shown to help alleviate poverty. Detroit's argument that the city is insolvent and thus needs to “save” on its pension liabilities is purely an expression of political priorities—priorities that do not include valuing workers. New anti-choice laws in Texas and other states around the country could push more women and their families deeper into poverty. The philosophy underlying the policy is one that recognizes the importance of parenting and other caregiving roles—which women are still disproportionately saddled with. But even as San Francisco sets trends, the city’s policy could improve, especially with respect to low-wage positions, which also tend to be dominated by women. The legislation would address longstanding gaps of the Pregnancy Discrimination Act, which was enacted 35 years ago this month. 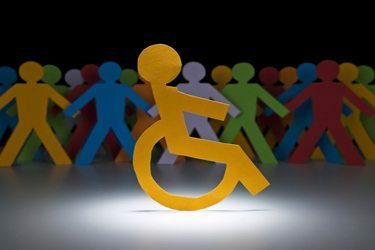 In attempting to reverse troubling unemployment trends among persons with disabilities, disability rights advocacy groups are looking to the health-care sector as a solution. As part of the government shutdown, some 800,000 government workers are furloughed and another million are working without pay. Many of these workers identify as middle-class but risk falling into hard times because of this loss of income; others are already struggling, earning a meager $8.25 to $9.00 per hour. Last week, California passed a bill requiring overtime pay for domestic workers. Some are concerned about the cost people with disabilities—many of whom are low-income—may incur to pay for such care. While Thursday's Republican-led bill to slash food stamps is highly unlikely to pass the Senate, it shows the influence of the Tea Party as the ideological foundation for House Republican leadership—an ideology blind to the role food stamps play in the economy. On Tuesday, the White House approved regulations extending basic labor protections for domestic workers. A confluence of events enabled these regulations to come about—some political, but more movement-driven. While conservatives lead in this rhetoric, the willingness to cut food stamps is found among moderate Democrats as well—revealing that this longstanding program for the poor may be very vulnerable. Jodi Kantor’s recent front-page New York Times story describes an experiment by the Harvard Business School to transform its deeply sexist culture and “foster women’s success.” But the gender problem in our economy runs much deeper than that. An international convention on domestic workers' rights is going into effect, just as labor organizing is picking up steam in the United States and abroad. Along with the enactment of welfare reform 17 years ago this August came tougher practices in debt enforcement—which, in many cases, lands the poor behind bars, leads to suspensions in drivers' licenses, and other practices that make finding work much harder. Welfare reform family caps punish the poor for having children. Repealing such laws sometimes creates common ground for pro-choice and "pro-life" groups. Because of the court's decision, immigrant women's lives can no longer be so capriciously upended by local police. While public outrage over the NSA leaks continues, the impact of faulty FBI background checks is a lesser known but potentially more harmful threat to American workers. Currently, far fewer women than men are pursuing PhD programs in economics or policy-making positions in general—gaps that dilute or completely exclude women’s experiences in economic policy-making debates. In an economy rife with low-wage jobs and long-term unemployment for women, the need for reproductive freedom is even more critical. Yet, Ohio’s budget achieves exactly the opposite, as if to mock the state's women. New York has been on the forefront of some of the most cutting-edge labor movements, but when it comes to child models, New York is behind more than 20 states that include child models in their state labor codes. That may soon change. Aggressive attempts to restrict women's health-care options, which range from shutting down abortion clinics to coercing women inmates to become sterilized, reveal the long, seemingly unattainable arc toward reproductive justice for women of color. Part of the problem in Oregon was that the push for domestic workers' legislation did not include enough grassroots mobilization by the state’s estimated 10,000 domestic workers who are currently excluded from overtime and other protections. How Can a ‘Pro-Life’ Legislator Fight to Gut SNAP? The House sponsor of the recently failed Farm Bill has a deep commitment to fetuses. His commitment to children? Not so much. On the 75th anniversary of the Fair Labor Standards Act, many women of color are still excluded from overtime and minimum wage protections. The law's legislative history helps explain why. When work culture and public policy fail to support men’s involvement in the domestic sphere, how can anyone "have it all"? One ignored aspect of immigration reform is that a pathway to permanent residency or citizenship for immigrant women could help improve women's economic security in the United States in the long term. Workers Frustrated by Pritzker Nomination—But What Impact Will She Have? Commerce secretary nominee Penny Pritzker has been a consistent supporter of reproductive rights organizations, but she's also a director and part-owner of Hyatt hotels, which has recently been the target of many workers' rights protests. The California domestic workers' bill of rights passed the state assembly Wednesday—but similar bills have twice been passed and vetoed. It's unclear whether Gov. Brown will veto it again. Home care workers in Vermont may soon have collective bargaining rights, as a result of union advocacy and organizing. "We’ve gone to thousands of doors. There's no shop floor here." According to earnings statistics, women get far less bang for their buck out of higher education. Recent proposals to reduce student debt could benefit women over the course of their lives—but they may not go far enough. The Brazilian Immigrant Center has launched a first-of-its-kind mediation program that seeks to resolve disputes between domestic workers and their employers. So far, it seems to be working. Though substantively similar, the two states' laws arrived at and passed their state legislatures in vastly different ways. U.S. activists were instrumental to the passage of international domestic workers' treaty—which the U.S. is unlikely to ratify in the near future. As of 2011, 1 in 12 private-sector workers was employed in the restaurant industry. But women, especially women of color, face a variety of struggles in this growing field. What did it really take for a Reagan-appointed federal judge to make one of the most critical reproductive justice rulings of the year, possibly the decade? Across the country, employers are choosing to cut worker hours in order to save money and dodge requirements in the Affordable Care Act. And some workers are fighting back. California has plans to experiment with a retirement program that could cost the state nothing in taxes but could greatly help many of individuals who rely heavily on Social Security. Unfortunately, it may not cover the growing ranks of freelance workers. Organizing in Georgia and Illinois shows that the domestic workers’ movement is not exclusive to predictable blue states. Will the California Disability Community Support Domestic Workers’ Legislation? Having failed in 2012, there is a renewed campaign in California for a domestic workers’ bill of rights. And like 2012, it is unclear whether the disability community will support the legislation. This Women's History Month, it's important to recognize thought leadership from feminists like Gloria Steinem, Audre Lorde, and Selma James that has demonstrably influenced current feminist policy efforts.